Since it's summer (well, debatable) and I have a heck of a lot more free time now, I've been spending probably a little too much time reading endless outfit posts, watching way too many youtube videos and eating far too much pizza. Anyway, since I've recently found so many great new blogs, I thought I'd share some of my favourites with you all today! Let's crack on, shall we? This probably doesn't come as a surprise to most, considering how well-known Olivia's blog is but I just cannot get enough! A little part of me always squeals in excitement when I see a new post pop up on bloglovin' by this mega-babe. With a range of posts from beauty, lifestyle, fashion and more (as well as an amazing youtube channel), What Olivia Did is definitely one to add to your reading list. Not only does Megan love Alexa Chung (which let's face it, already makes her a babe in my eyes), she has the most uhhhhmazing wardrobe. Working as a personal stylist at ASOS (a.k.a the dream job), Megan's style is one you can't fail to love. If you read her blog, you probably know that a lot of her outfits involve a reference of some sort from the 70s, which I love, meaning major outfit inspo! Kim at Love Cloth has a really unique sense of style, and in my eyes is always a little vintage-inspired. Packed with everything from outfits, beauty, travel and lifestyle, there is something for everyone on this lovely blog! Definitely one of my favourite's to catch up on. Love! Ring My Bell is a style blog by Ashley Madekwe. 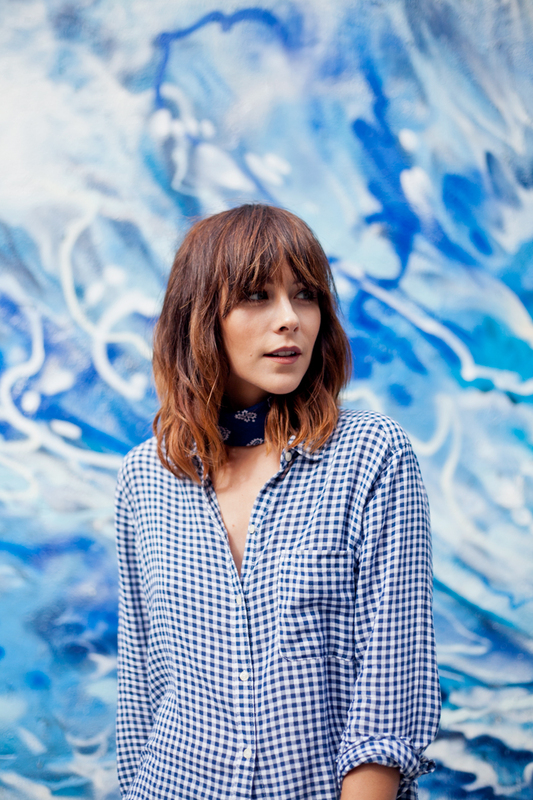 Originally from London, she now lives in L.A (urm, life envy, anyone?!) and has a shoedrobe to die for. This is a blog I've only recently stumbled upon, but I am so glad I did as it is now one of my absolute favourite blogs, and also provides me with endless outfit inspiration. With the sassiest style and the ability to find the most amazing backgrounds for her photos, Alex's blog is one to keep your eye on. The pictures speak for themselves and I often find myself spending hours endlessly scrolling through just admiring the photography. Definitely check this babe out! So that's it for today! Let me know if you enjoyed this post as it's something I'm considering making into a monthly thing as I love to share with you all what I'm enjoying at the moment! Also drop a comment below with your favourite blogs - I love finding new and upcoming blogs to follow! I'm always wanting to find new blogs to read so I'd definitely love to read more of these posts!